We had a great Third-of-July ride last Saturday in Sidney. 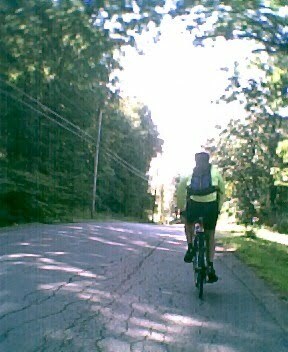 Many thanks to Jim Putnam for leading the ride, and all those who kept up the pace in the heat. This weekend is the Maine Bike Rally in Brunswick. For those of you still hanging out around here, Sunday looks like a nice day weatherwise, and a great opportunity to return to Smithfield for a popular ride on some great roads. Join us if you can - we may have an ice cream stop in Smithfield after the ride. START: 9:00 AM, at the new Smithfield Fire Station on Rt. 8 in Smithfield, about a quarter-mile north of the junction of Rt. 8 and Rt. 137.